The St. Louis Athletica earned a 1-1 draw with the Chicago Red Stars Saturday at Toyota Park in the Windy City. The Athletica opened the scoring in the third minute thanks to a goal by midfielder captain Lori Chalupny. After a cross from Tina Dimartino was punched away by Chicago goalkeeper Jillian Loyden, the ball fell to Chalupny, who knocked it in for her first goal of the season. The edge that the Athletica carried during the first half lasted until a second-half substitution by Chicago coach Emma Hayes brought Casey Nogueira onto the field. In the 58th minute, a shot off the crossbar by a Red Star bounced straight down. The Red Stars continued to press the attack, and it ended in Chicago’s Katie Chapman passing the ball from right to left to Nogueira. The Women’s Professional Soccer league (WPS) announced that the Atlanta Beat will host the 2010 WPS All—Star Game presented by the U.S. Coast Guard on Wednesday, June 30th. Saint Louis Athletica of Women’s Professional Soccer, WPS, opened their 2010 exhibition schedule with a 4-0 win over the University of Illinois Women’s team on Saturday. Kristina Larsen, Eniola Aluko, Madelaine Edlund, and Shannon Boxx all tallied goals for Saint Louis. For Coach Jorge Barcellos the game was a chance to see a lot of his new players and his new midfielder, Boxx, especially impressed him. St. Louis Athletica announced their home and away schedule for 2010 on Thursday. The second season of the WPS will show four more games per team, bringing the total of games played to 24. 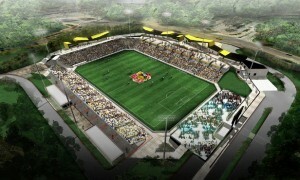 The Athletica will host 12 home games at Anheuser-Busch Soccer Park this year. A major highlight of the year starts immediately, with the Athletica hosting WPS Player of the Year Marta and FC Gold Pride on April 11. The Athletica will also face FC Gold Pride on Wednesday, June 9. St. Louis will travel to Chicago on Saturday April 17 to take on the Red Stars in their home opener. They will be looking for redemption as Chicago beat the Athletica in their home opener in 2009. With the new 24-game schedule, the Athletica will play the seven other WPS teams at least three times each. 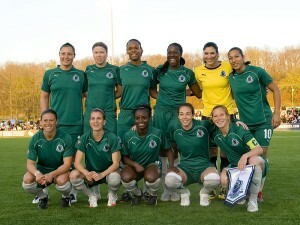 They will face the Washington Freedom, Atlanta Beat and Chicago Red Stars four times. Is this the end for Brandi Chastain? Breaking news has come out of the Bay area sports world as FC Gold Pride announced today that they have released veteran Brandi Chastain. Pride Head Coach Albertin Montoya explained that it was a tough decision to make, but it was necessary to make the best possible roster for this season of WPS. “She is a great leader and we all wish her the best as she moves forward with her career,” he added. With the Los Angeles Sol discontinuing operations in Women’s Professional Soccer and the players being divvied up among the remaining eight franchises in a distribution draft tomorrow, experts and fans alike have been speculating the order of picks. One major question floating around the soccer world is: where will Marta go? The Brazilian international was the top goal-scorer in the WPS in 2009 and lead the Sol to the league championship. Her technical play and nose for the goal makes her a dangerous forward, and her consistency in scoring will be a huge asset to her new team. No one quite knows what the team General Managers will do tomorrow, and with speculations and rumors being tossed around, it’s anyone’s game. Some of the best players in the world are available, but it is unclear who will go first, let alone who will be selected one-two-and three. With assistance of fellow Bleacher Report writer, Lauren Green, I used my own knowledge of the game and the league, and created a list of who might be the first ten draft picks.